A romantic wee ballet – Matthew Bourne’s acclaimed reworking of the classic romantic ballet La Sylphide. 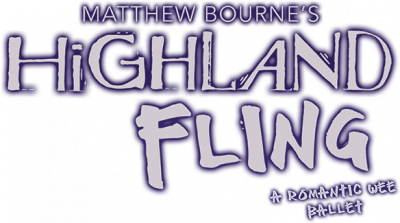 Highland Fling tells the story of James, a young Glaswegian who is lured from his nuptial bed by an unearthly siren. As his love for this beautiful ‘Sylph’ becomes an obsession, he embarks on a journey that takes him from the mean streets and nightclubs of Glasgow into a magical world beyond. This gothic fable of winged fairies and kilted ladies - filled with all the wild excesses of romanticism - has been given an ingenious make-over by Matthew Bourne’s New Adventures and is packed with all their trademark wit, magic and wicked humour. Re-choreographed and totally re-designed, this show is bigger and even better than the 1994 original version – now with double the number of cast members. Highland Fling was originally premiered at The Arnolfini, Bristol, in Spring 1994 and made its London debut at The Lilian Baylis Theatre later that year. It subsequently played London seasons at The Place Theatre and a three week run at The Donmar Warehouse in Covent Garden. Due to the popularity of Danny Boyle’s film at the time, the piece was dubbed 'Trainspotting - The Ballet'! The 2005 version (played throughout the UK from Feb - May) was substantially re-choreographed, redesigned and featured twice the original number of dancers. Highland Fling was revived for Scottish Ballet in 2013 (the first time another company had performed one of Matthew Bourne's full-length works), also premiering in Asia in 2014. It then toured the US in 2017 and in 2018 had its Highlands & Islands premiere touring mainland Scotland and the Scottish islands.